The IDF is sitting on some very valuable real estate, worth as much as NIS 90 billion, according to experts. The IDF is sitting on some very valuable real estate, and with expenses mounting and the army's budget in perpetual danger of shrinking, the army has decided to sell off some of its land assets. On Thursday, the army confirmed television reports Wednesday night that it was selling land in Tel Aviv and the army base of Tzrifin, south of Tel Aviv. 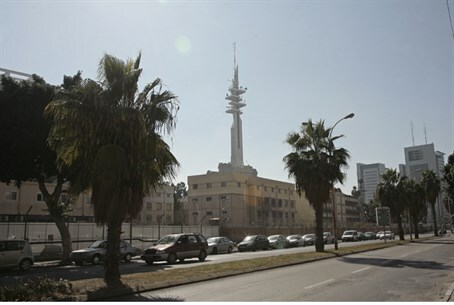 Nine dunams of land in central Tel Aviv - where the "Kirya", the Defense Ministry headquarters, are currently located - will be sold off to developers to make way for apartments. The area is in a prime development spot, next to the iconic Azrieli Center and less than a kilometer from Dizengoff and Ibn Gvriol Streets. The army plans to eventually sell off most of the area that it currently owns in the Kirya area, with the first 9 dunams located in the underused northern section of the site. The army has planned for some years to move most of its operations out of central Tel Aviv, setting up new headquarters in the Beersheva area, where most of those operations will now move, as part of wider government efforts to develop the Negev region. Those facilities are already under construction, and the first set of offices will be opened late next year, according to army sources. Among the buildings to be constructed on the land the IDF evacuates will be Israel's largest skyscraper, an 80-story tower. Construction on the building is scheduled to begin in 2015. The rest of the Kirya area will probably not be evacuated before 2020, the army said. The Tzrifin base, near Rishon Lezion, will also be partially evacuated next year, after which construction of some 3,500 housing units will begin. The army has a master plan to evacuate nearly all of its major bases in the Tel Aviv area (there are bases in Petach Tikvah, Ramat Hasharon, Ramat Gan, and other large cities in the metropolitan area). Evacuation of these bases will free up a total of 11,000 dunams, permitting construction of as many as 100,000 housing units. From the sale of the land, the army stands to bring as much as 90 billion shekels into the state's coffers, experts said.